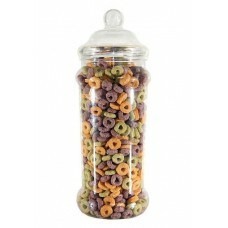 Our clear sweet jars are made from food grade PET plastic. Because PET is an excellent water and moisture barrier material, it is perfect for the display and storage of confectionery, sweet treats and powdered foods. 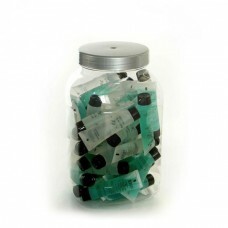 All jars have a wide, screw thread, 70ml or 110mm neck, making filling and dispensing easy. 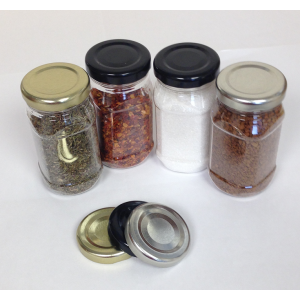 Due to the colours and styles available PET Jars are NOT supplied with lids, please choose and add your chosen lid style to your order. 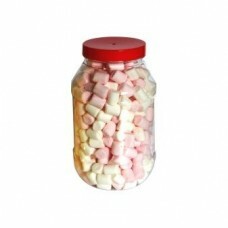 The 120ml PET Jar WITH cap The handy little jar in the kitchen.Made from Food Grade PET Plastic and great for small quantity sweets, choc.. 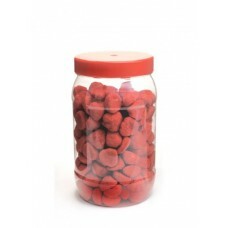 The 250ml PET Jar without cap Made from Food Grade PET Plastic and ideal for sweets, chocolates, treats and all types of confectioner..
380 ml PET Jar without cap Ideal for confectionery, sweets, treats, food and health products. 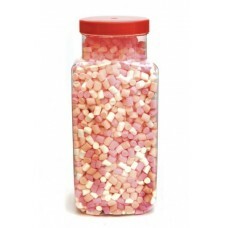 PET plastic jars and containers offer a sa.. 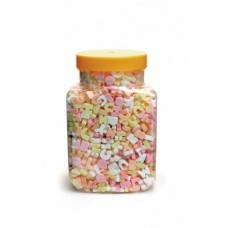 The 400ml PET Jar without cap Ideal for sweets, chocolates, treats and all types of confectionery. 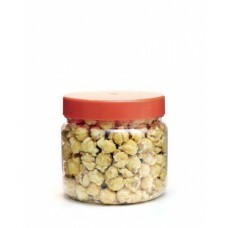 Made from Food Grade PET Plastic these ..
425ml PET Jar without cap Made from food grade PET clear plastic material. They are idea for sweets, confectionery, chocolates, foods and he.. 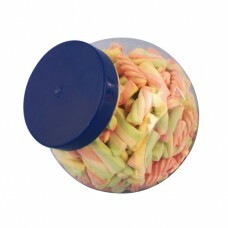 The 450ml PET Jar without cap Ideal for confectionery, gifts and other foods and health products. Food grade PET plastic provides a sa.. 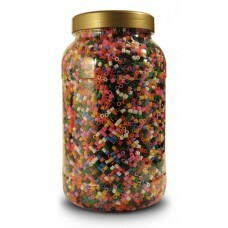 The 450ml PET Jar without cap Ideal for Confectionery, nuts, condiments and Gifts. These containers are a safe alternative to glass. 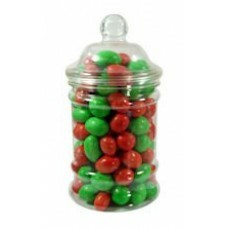 P..
500ml PET Jar without cap A sleek vintage design, which when coupled with the Victorian lid, gives your sweets / contents a classic look.&nb..
500ml Food Safe PET Jar The 500ml PET Gripper Jar comes complete with Black or Green screw top, shaker style cap with Induction Heat Seal lining..
650ml PET Jar without cap Ideal for gift packaging for sweets, chocolates, confectionery and pet treats, they offer a safe alternative to g..
750ml PET Jar without cap An extremely versatile jar, ideal for confectionery, nuts, foods and health products. 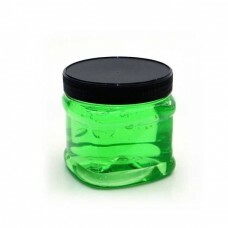 Being made from PET plasti..
950ml PET Jar without cap Being made from PET (Polyethylene terephthalate) plastic, food grade material, make these containers a great alternativ..
970ml PET Jar without cap Retro, vintage style, this jar is ideal for confectionery. These containers make excellent packing for gifts.. 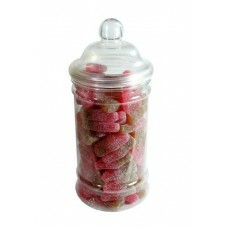 The 1000ml PET Jar without cap Ideal as a alternative to glass for displaying and storing confectionery. When teamed with our vintage style,..
1000ml Food Safe Gripper PET Jar The 1000ml Gripper PET Jar, with dual lid - pourer and sprinkler. 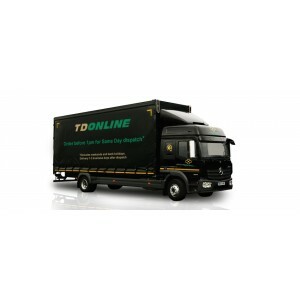 Ideal as an alternative to glass and ca.. 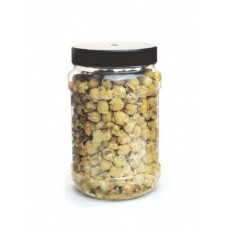 The 1350ml PET Jar without cap A robust, food safe jar, ideal for sweets, nuts, other dry foods and health products. Being made from .. 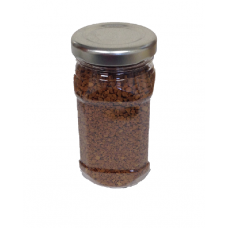 The 1823ml PET Jar without cap Made from Food Grade PET Plastic and is an ideal alternative to glass. 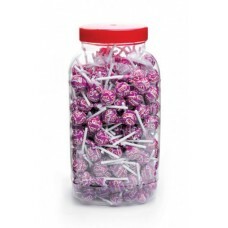 This PET Jar can be used for co.. 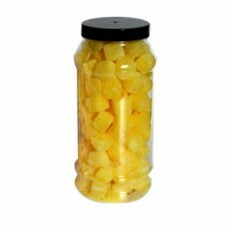 The 2117ml PET Jar without cap Ideal as an alternative to glass and suited to many different dried food stuffs such as: SweetsHe.. 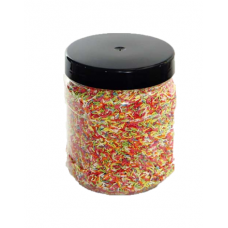 The 2434ml PET Jar without cap Made from Food Grade PET Plastic, this jar is Ideal as an alternative to glassBenefits of PET ContainersFood sa.. The 2534ml PET Jar without cap A large container, ideal for food storage such as: CerealsPastaSweetsPet treatsBiscuitsBenefits of PET Co.. 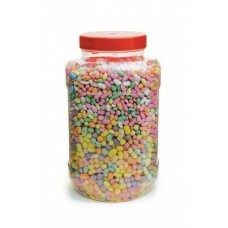 The 2585ml PET Jar without cap Ideal for food storage, sweets, treats and confectionery. 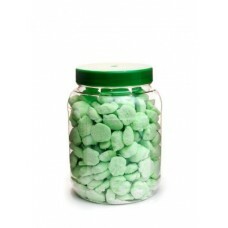 These sweet jars are made from Food Grade PE.. 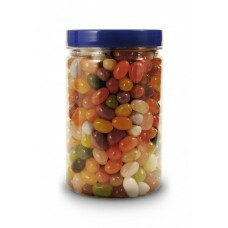 The 2667ml PET Jar without cap Made from Food Grade PET plastics and ideal for food storage, confectionery, sweets and treats. Benefits of.. 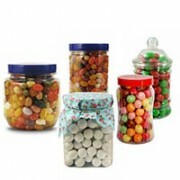 The 3200ml PET Jar without cap An alternative to glass and ideal for confectionery, sweets, pet treats and food storage. Benefits of PET Contain.. 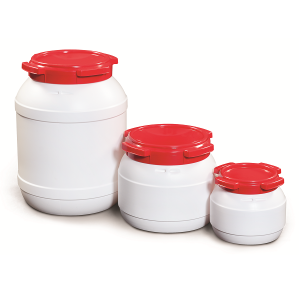 The 3350ml PET Jar without cap PET jars are manufactured from food grade polymer. 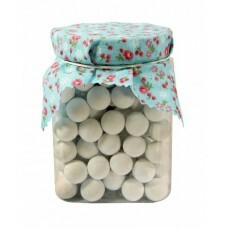 A large, sturdy, traditionally shaped sweet jar.&nb.. 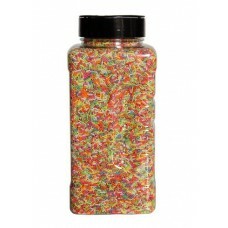 The 3365ml PET Jars PET jars are manufactured from food grade polymer, making them ideal as an alternative to glass. Perfect for:Conf.. 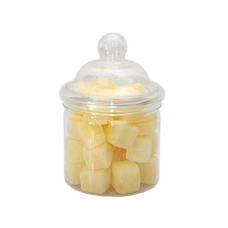 The 3542ml PET Jars without cap Made from Food Grade PET Plastic, Ideal as an alternative to glass containers, these jars are perfect ..
3907 ml PET Jars without cap A large plastic sweet jar. 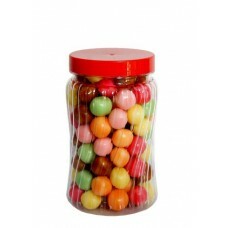 Perfect for confectionery, sweets, treats, health and food products. 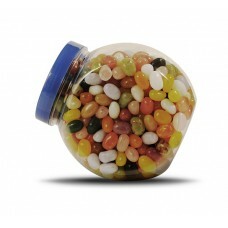 These Sweet J..
4523ml PET Jars without cap Made from Food Grade PET Plastics and providing high quality containers for confectionery, jam, chutney and gifts. B.. 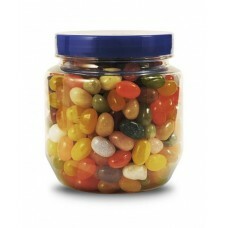 The 5025ml PET Jar without cap Ideal for food storage, especially sweets, chocolates, confectionery, jams and chutney. They provide a..